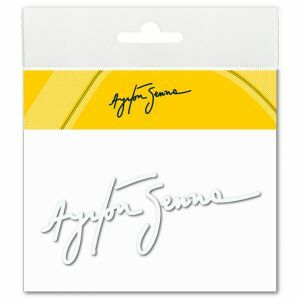 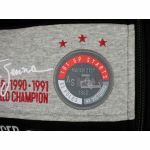 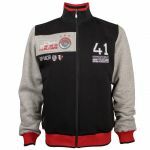 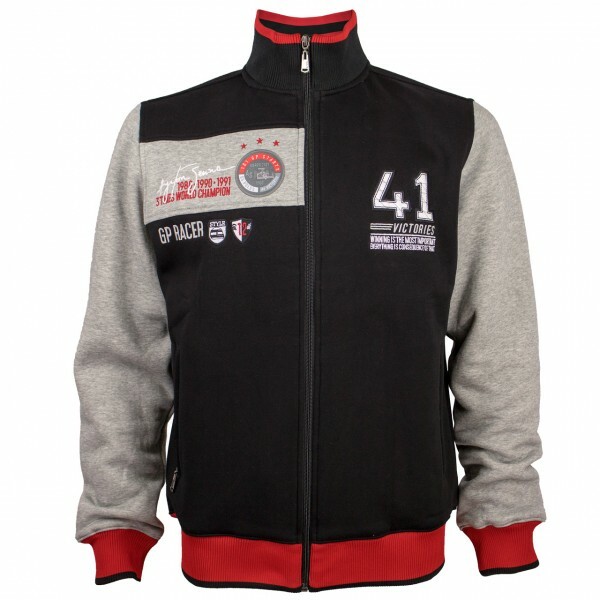 The Sweatjacket is dedicated to Ayrton Senna's 41 Formula 1 victories. 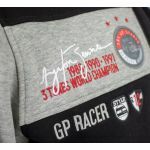 The applications and embroideries on the frontside of the jacket show Ayrton's formula 1 achievements and the quotation: "Winning is the most important, everything is consequence of that". 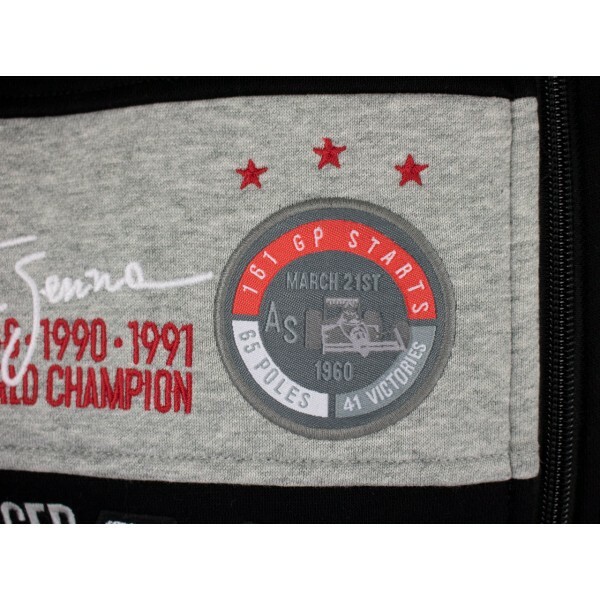 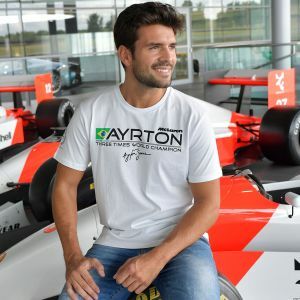 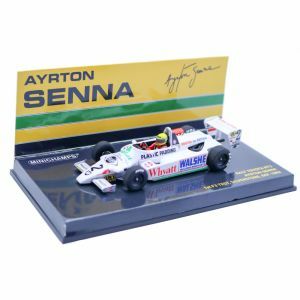 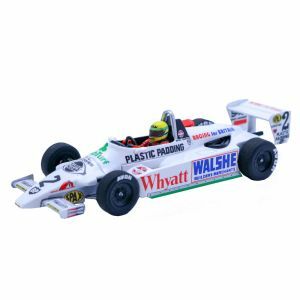 The woven batch is crested with three stars, standing for Ayrton Senna's world champion titles. 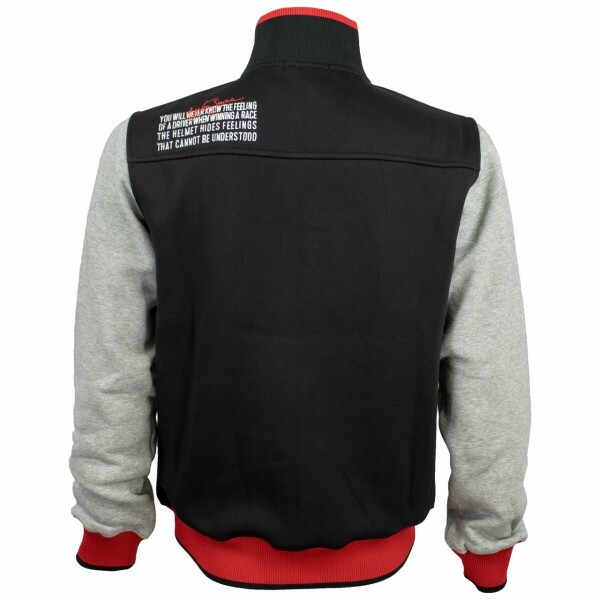 One more quotation is placed on the backside of the jacket which get's rounded up by our idols signature. 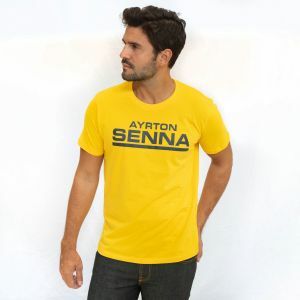 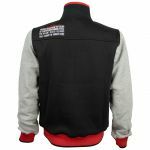 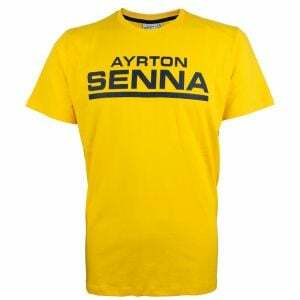 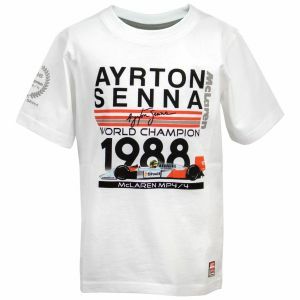 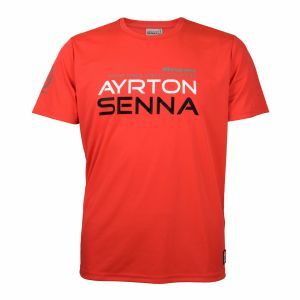 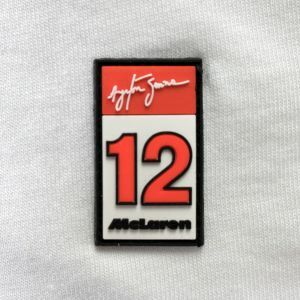 This remarkable jacket combines Ayrton's records and quotations in a unqiue item of clothing.